Ever wanted to play a nice driving game on your smartphone? what if we had Need For Speed Underground 2, Midnight Club, Real Racing 3, and Forza Horizon 4, then we mixed all of them in a lightweight game that you can play on your smartphone/pc, Imagine how awesome this would be, it sounds crazy but it will be easy to do, I want to have some people with me so everyone can focus only on his role and do the best he can do. We won't go crazy, it's a smartphone game so we won't have a big world or a lot of cars. And we will also won't have a tiny world and a small number of cars. We will be in the middle. 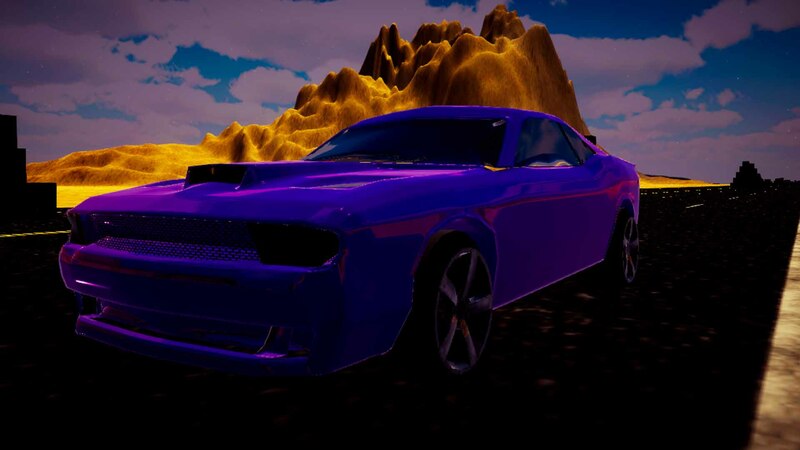 This project will be an open-world game, player will race in the streets of the city, earn money, then he chooses what he want to do with it, upgrade & customize the car or buy a new one. I have wrote an advanced code for a fully functional car, Day/Night system, XP & Levelling system, Coins system, and a basic car customization system. Everyone will have a cut from the game's revenue after we publish it. Everyone will also have their name in the game's credits and in the game's website. We are all equal, no one is better than the other. I'm Yousif Ragab, I have been using Unity since 2015, and I have been in C# programming for more than 3 years, I have 2 published titles with more than 90K downloads. I'm working on a big project with a studio, but I wanted to make this game for a long time. Hello, are you interested in an open-world racing project for smartphones and PCs? Watch Out: PC Edition community · Replied to Stavros Skamagkis in What are the differences of this edition versus the other editions? Watch Out: PC Edition community · Posted in What are the differences of this edition versus the other editions? Play with marbles and try to reach the Finish Line. You have 1 chance only, No flashbacks, No another chance. If you fall you lose! Marbles Playground is a ball scrolling puzzle game, All you need to do is reach the finish line without falling.. Looks easy, right? Try it NOW! You can try the Demo version before buying the game. save 75% on Marbles Playground or you can get both the PC and the Mobile Editions of the game as a bundle at a discounted price! Marbles Playground supports all screen ratios and supports 4K graphics. Marbles Playground Pocket Edition's upcoming updates will fix problems and increase the graphics.